Do you love fruits? Do you love seafood? Do you like tasty, refreshing and low calorie foods? Don't go any further, I have what you need right here! And the best part is that you can have a complete meal in about 20 minutes (if you have all the ingredients ready). 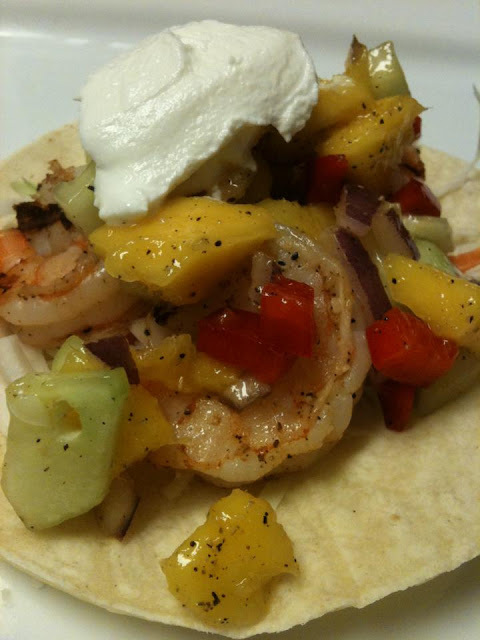 Tacos are fun meals that your family and or friends can put together themselves depending on what they like. Usually I can eat 2 tacos; they look so small but they will fill you up pretty quickly! Prepare Mango Salsa first. You only need 8 ingredients, 5 of which are considered power foods. Can you guess the 5? Combine all the ingredients together in a last mixing bowl. Cover with plastic wrap and chill for 30 minutes before serving. 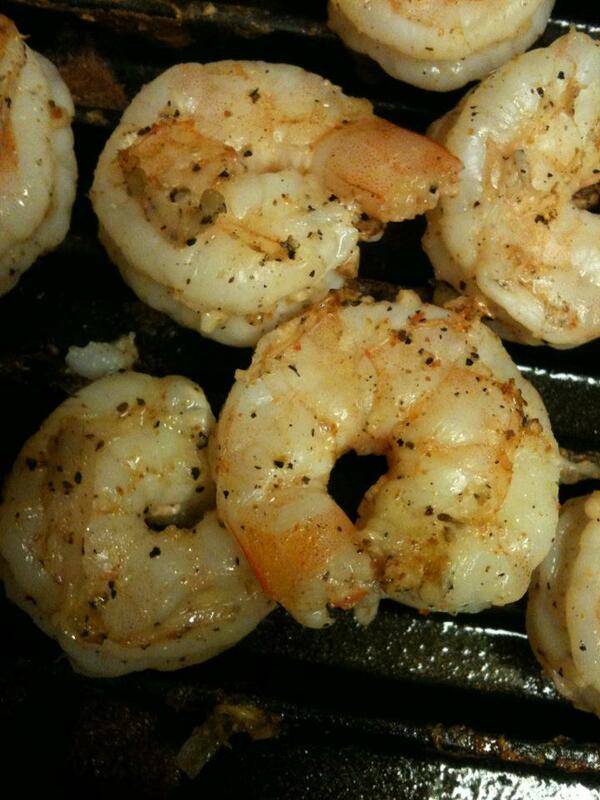 Grill shrimp for 3 minutes on each side or until it turns light pink and opaque. Do not over cook!!! 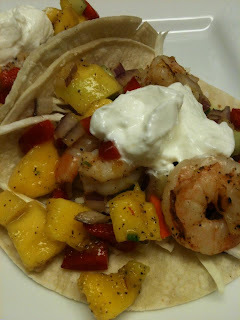 Lightly toast tortillas on your grill or in a skillet for 20 seconds on both sides. 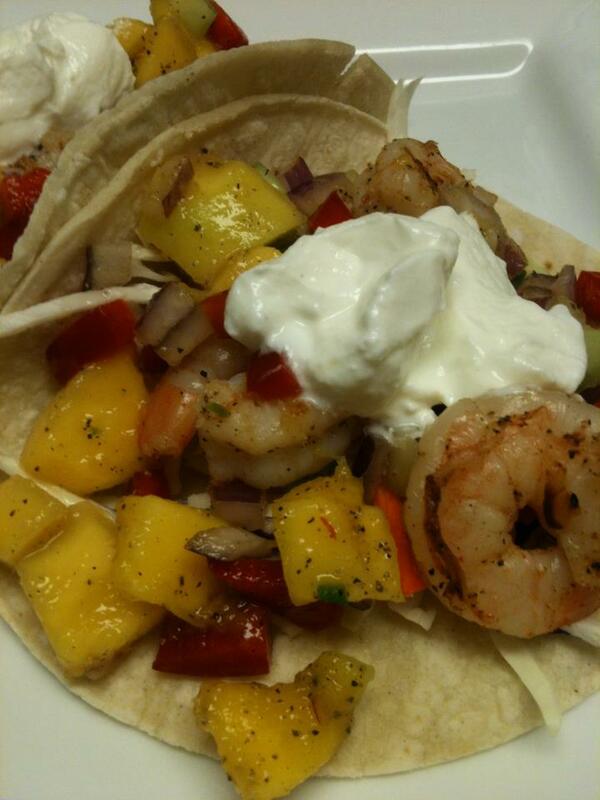 Place tortillas on a plate and add shrimp, about 3 per tortilla, then spoon mango salsa over. Top it off with a dollop of sour cream (or not) and it's ready!